Majestic and mysterious... the primal power of the ocean is enchanting to Oded and Pamela. Incorporating the organic, curving plane of a wave in the work Oded and Pamela design has been a natural evolution as they are deeply connected to bodies of water, places of joyful memories that dates from their childhoods, albeit in different parts of the world. 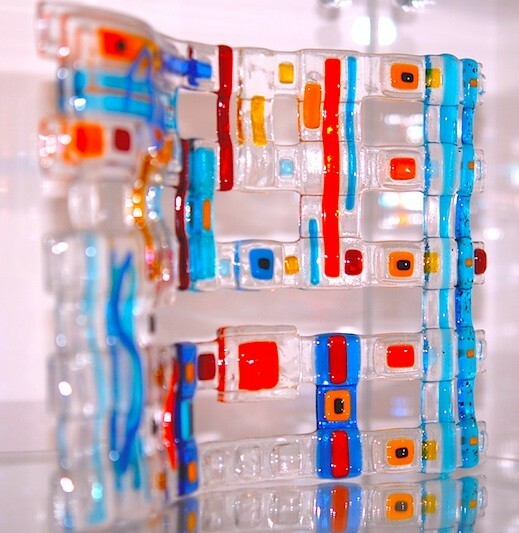 Oded and Pamela consult on design and create custom glass art commissions that range from tile surrounds and vessel sinks to furniture, wall art, sculptures, windows and doors, and large architectural glass art sculpture installations. The Raveks are expert at transforming a concept into a splendid focal point that will enhance any environment. 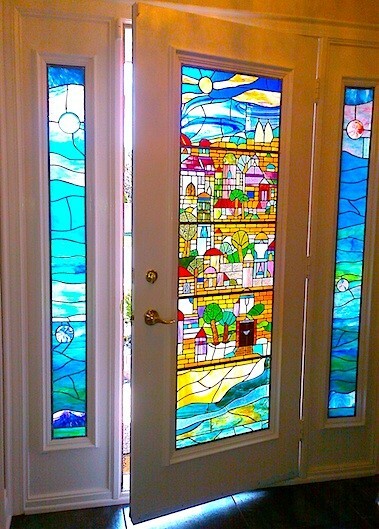 Sculptural wall art, grand entrance doorways, glass art groupings lit with LEDs. Handcrafted. Special editions. New collections. Each work of their art is an original. 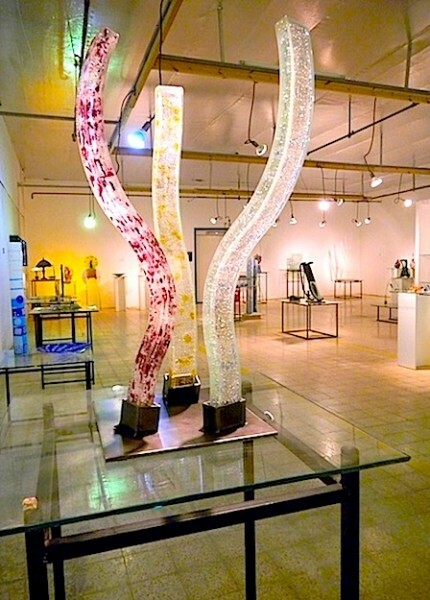 Curvilinear cast glass trio with bursts of vibrant colour, HARMONY is part of the permanent collection, The Glass Art Museum, Arad, Israel. 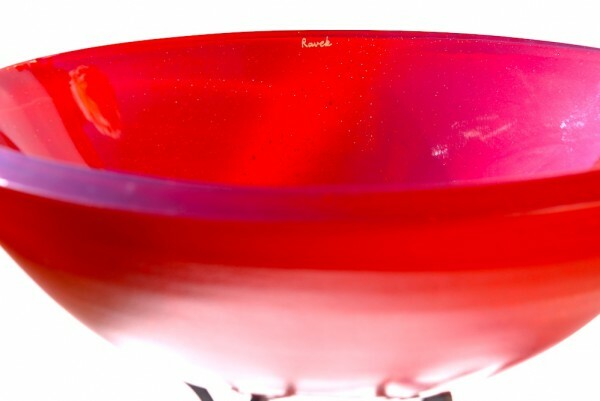 Glowing MERLOT is a rich and full-bodied centrepiece bowl. An inviting and welcoming entrance, created with hundreds of handcut stained and kilnfired glass, MUSE is the perfect idyllic Mediterranean getaway. Modern. Fun. and Sophisticated. Created with shimmering iridescent and hand pulled glass. 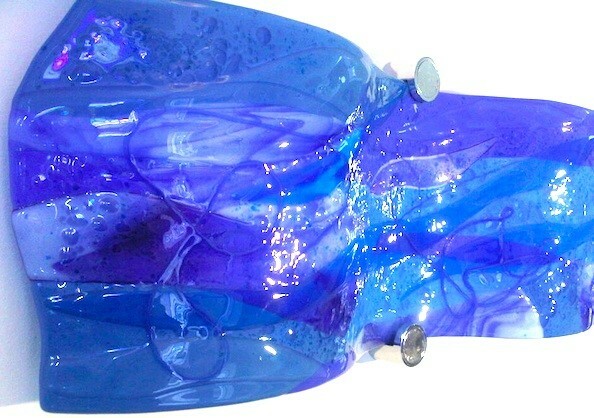 Saphhire and indigo colours of the waters surrounding beautiful Corfu are embodied in this undulating glass art sculpture created with iridescent and hand pulled glass. Spectacular swirls of vibrant autumn colour are captured in this one of a kind vessel created with a special high temperature kilnfire technique.